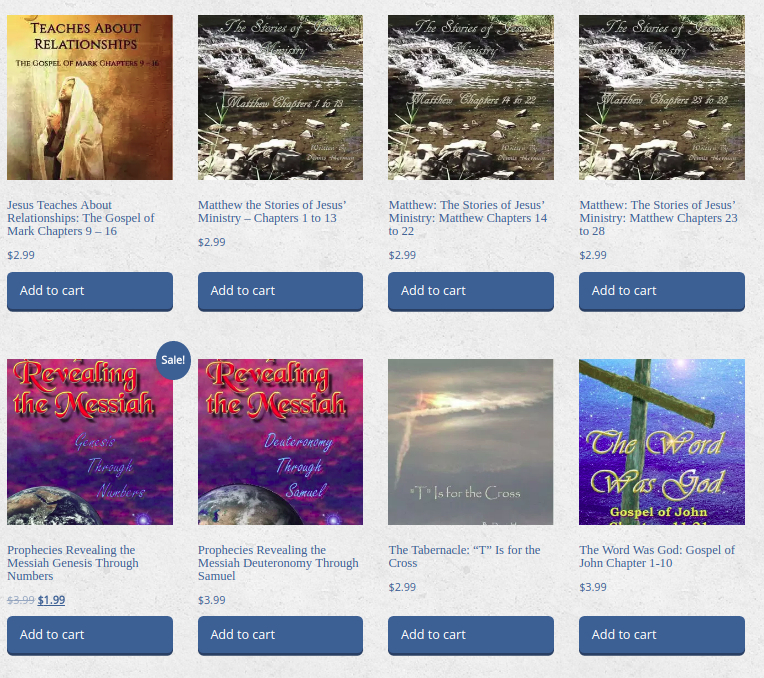 Since moving this site to a new paid format, I’ve been working on adding my own bookstore. It is not as easy as some of the articles on the Internet claim, but it can be done. Enter the discount code twenty-off in the shopping cart to take 20% off your order. Other stores may be more organized and get a ton of more visitors, but with all the competition out there, how are people going to find my books when there are 18 million other books on their site? I think I solved that problem. Some of the books on this site may be the most important you will ever find on the Internet. These books are interesting, information, and are geared to giving you the Bible Study tools you need. Let’s face it. The most important thing you can do is get back in touch with God. That is what every religion is about, getting in touch with God. But which god and on what terms? How can you tell you’re being led, or misled. When you know God’s signature on the Bible, Heaven’s gates open up and when you see the difference between this world and Heaven, people won’t be able to spoon feed you any misleading information. You’ll see what is false, what is a waste of time, and who is doing their own thing just to make money. This new bookstore puts me, the author in charge. I can offer discount prices, and more insight to my books publishers do not want to see on their store fronts. Books will be offered as PDF files, which is useful across the boards, on just about every operating system. Links to the books will be emailed to you. From that link you can access the book on any and everything you own, save the file, and at the new site, you always have a backup. Bookmark the new site, subscribe, and share. I’ll be adding new books soon as I wean myself off the usual market places for books. If you want to write a book, take a look at the Write Your Own Book Page. When I get the time, I will post more on starting your own paid for site, the advantages, how to get most of the add ons for free, which are best, and how they actually work.